A clear water river runs smoothly by the village. 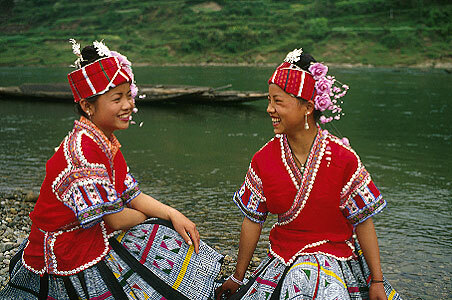 Two young Miao girls, aged 14, are sisterly chatting on their own. It is a very relaxing moment. The costumes they wear are hand made and dyed according to tradition by themselves.